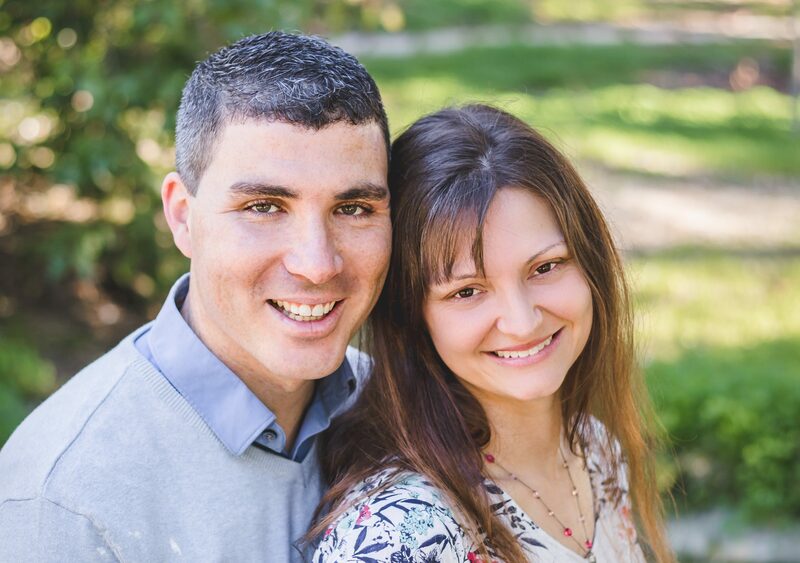 We’re David and Sarah Booth, and we’re glad that you have taken time to visit our site. We arrived in Portugal in August, 2010 to begin our first term of service as Baptist missionaries. Whether you are a long-time friend or this is the first time you’ve ever heard about us, we hope that you will get a glimpse of what God is doing in our lives. Perhaps you will also find out a little bit more about the beautiful and fascinating country of Portugal. Most of all, we hope you will take the time to pray for us and for Portugal. Thanks for stopping by. Growing up as a missionary kid, I was exposed to the gospel at an early age. When I was a young boy, I knew that I was a sinner and asked Christ to be my Savior. Shortly thereafter, I was baptized. My parents were missionaries in South Africa. When I was nine years old, we changed fields and moved to Portugal, where we lived for the next four and a half years. As a missionary kid, I was able to be involved in the ministry with my parents. Whether it was passing out tracts, setting up chairs for Sunday school, giving a Bible story to young kids, or watching my parents witness to our neighbors, I caught a vision for what it means to be a missionary and to give my life to serve the Lord. When we left Portugal, I thought in the back of my mind that one day I would return. My teacher, at the Portuguese elementary school I attended, would sometimes say, “David, someday you are going to come back and be the American ambassador to Portugal.” Little did I know then that I would return as an ambassador, but even better, as an ambassador for Christ. Through high school, college, and seminary, God deepened that burden and desire to the point that I knew that God wanted me to give my life as a missionary. As only God can do, He led me to my wife, Sarah. It’s neat to see how our lives complement each other in how we serve the Lord together. God has truly blessed our lives in amazing ways and has uniquely prepared us to share the gospel in Portugal and to establish churches here. I was blessed to grow up in a Christian family where I heard about Jesus my entire life. One day, when I was about seven years old, I asked Jesus into my heart. I was baptized in my home church in North Dakota. When my family moved to Tennessee, the church we joined had a deaf ministry; there I had my first exposure to deaf people and their need for Christ. God was burdening my heart to reach them. Since deaf people could not hear the gospel on a radio program or in any church, they needed someone to learn their language and explain the gospel to them. I believed this ministry of reaching and teaching deaf people was what God wanted me to do. After high school, I went to college and studied Sign Language, Deaf Education, and Missions. At that time, God was directing me to my husband. David had a burden to do missions work in Portugal. I felt called to the deaf in any country where God led me. After years of prayer and seeking God’s will, we believed God was leading us to serve together. We were married in June 2007. Now, we are seeking God’s will for the next step. We believe God would have us minister in Portugal through church planting, deaf ministry, evangelism, and discipleship. I know the road ahead will be full of challenges and blessings. God has been faithful throughout my life, and He will continue to be faithful to the end.